M: Nat work on her super secret project, Georgette with Zero is on mision, so now is time to turn in super sweet Tenshi! I found some of typical western cookie recipiet on net, so it will be realy suprise for my friends. If that emergency occurs between baking cookie in oven. Some little fire is normal in this HQ, we have here Nat, hihi. And lots of others sciencist, so any day without laboratory inccident is suprise for all. She's a French Maid Angel . And a bit more than cute. 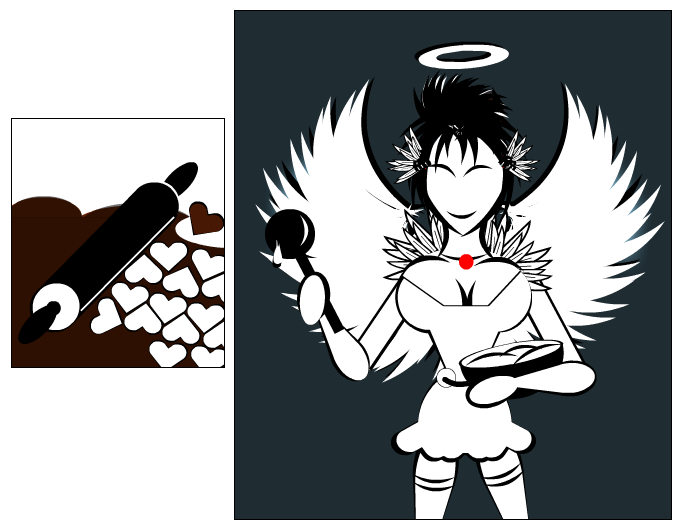 Not sure if she's wearing an angel outfit, or an apron.